psychologist Relationships - Gabrielle Lawrence Ph.D.
Gabrielle Lawrence, Ph.D. is a licensed psychologist in private practice in the state of Arizona. She is a clinical member of the American Association of Marriage and Family Therapist, a Registered Play Therapist and Play Therapy Supervisor, and a trauma and loss specialist for children and adults. Additionally, she is certified in EMDR and is completing the advanced training in Somatic Experiencing Therapy. She is a recognized clinician working in the area of grief recovery and traumatic loss. Dr. Lawrence received her masters in Early Learning and Development in 1973 and her doctorate in Counseling Psychology from Columbia University. In her private practice, she specializes in dealing with PTSD, traumatic loss, bereavement, couples in crisis, parenting, divorce adjustment, children, adolescents and adults with issues of early trauma and abuse. In 1990, she co-founded the New Song Center for Grieving Children, www.thenewsongcenter.org, a support program for children and families who have experienced the loss of a family member through death. 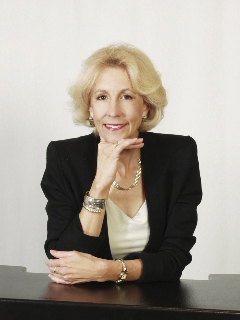 In 2007, she co-founded the Children's Services Network, www.csn-az.org, a web based referral directory for clinicians and other professionals working with children and families. She is also involved forensically as an expert witness for bereaved families who have experienced a wrongful death. In 2002, Dr. Lawrence was a recipient of the Hon Kachina Award for outstanding service to the community as a volunteer and founder of the New Song Center. In 2002, she also received another award for her work with children - the Scottsdale Life Magazine Five Who Care Award. In addition to her private practice, Dr. Lawrence is a recent board member and past president of the Arizona Association for Play Therapy. She is a current member of the board of directors of Hospice of the Valley, the largest Hospice in America. She has been a member of the graduate faculty of the University of Phoenix in the Department of Counseling. In addition, she lectures and trains locally and nationally for schools, hospitals, parent, professional, corporate and community organizations concerning issues related to traumatic loss, parenting, bereavement, domestic violence, attachment and bonding, child development, coupleship and relationship management topics such as stress management, anger management and conflict resolution.